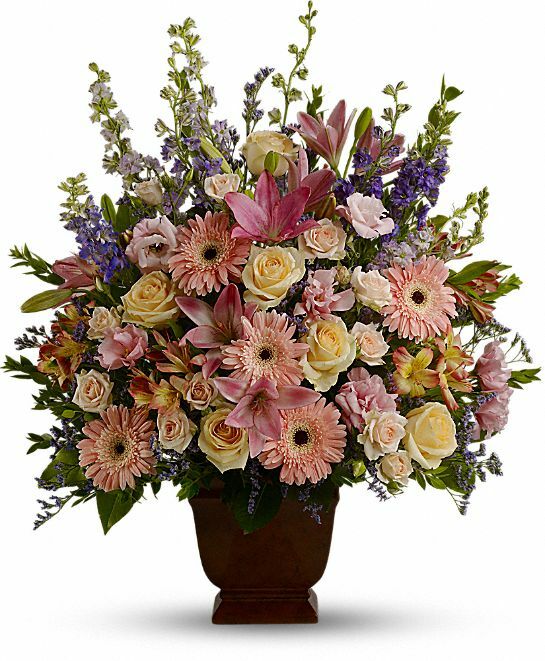 Provide comfort for the family of Pearl Hellerud with a meaningful gesture of sympathy. 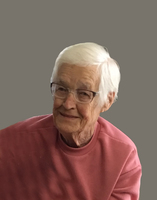 It is with profound sadness that the family of Pearl Eileen Hellerud of Cold Lake, AB announces her passing on Wednesday, March 13, 2019 at the age of 93 years. Pearl will be forever remembered and loved by her five daughters: Doris Moore of Cold Lake, AB, Joyce (Steven) Mitchell of Lloydminster, SK, Dorothy (Ken) Wusyk of River John, NS, Darlene (Dave) Dawson of Cold Lake, AB, Susie (Brian) Ayers of Cold Lake, AB; three brothers: Bob Dunn of Prince Albert, SK, John (Barb) Dunn of Big River, SK, Les Dunn of Innisfail, AB; two sisters: Ruby (Paul) Vruana of Rosetown, SK, Grace (Ron) Coulter of Comox, BC; fourteen grandchildren; twenty great grandchildren; as well as numerous nephews, nieces, cousins & other relatives. Pearl was predeceased by her husband: Herb Hellerud in 2007; daughter: Shirley Hellerud; son: Herman Hellerud; parents: George & Eileen Dunn; four sisters: Lily, May, Blanche, Dorothy; brother: Ross. Funeral Service, Wednesday, March 20, 2019 at 10:00 a.m. at St. John the Evangelist Anglican Church, Cold Lake, AB with Reverend Donna Gauthier officiating. Honorary Pallbearers: Steven Wusyk, Ly Wusyk, Mike Mitchell, Buford Dawson. Pallbearers (Pearl's grandsons): Brent Hellerud, Dillon Ayers, Michael Moore, Bradley Moore, Dayton Dawson, Dallas Mitchell. Final Resting Place, St. John the Evangelist Anglican Cemetery, Cold Lake, AB. Memorial tributes in memory of Pearl may be sent to Heart and Stroke Foundation, 5201 Calgary Trail NW Suite 144, Centre 104 Edmonton, AB T6H 5G8. Public Visitation will be held at the church one hour prior to the funeral service. Donations are being accepted for: Heart & Stroke Foundation of Alberta. Love Brad and Shelley purchased flowers for the family of Pearl Hellerud.